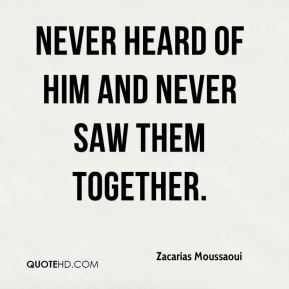 never heard of him and never saw them together. 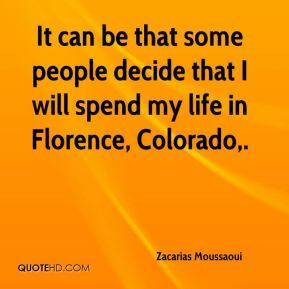 It can be that some people decide that I will spend my life in Florence, Colorado. It will take me until trial date to just load the different disc. 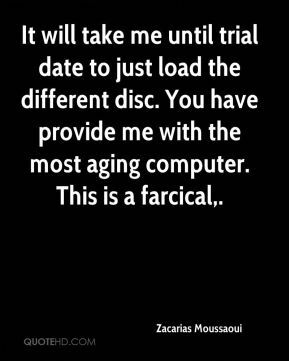 You have provide me with the most aging computer. This is a farcical. 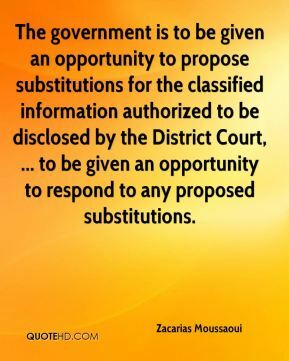 The government is to be given an opportunity to propose substitutions for the classified information authorized to be disclosed by the District Court, ... to be given an opportunity to respond to any proposed substitutions. 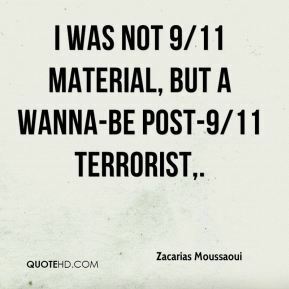 I was not 9/11 material, but a wanna-be post-9/11 terrorist. this is not what I want to do, this is not the plea that I want to enter. 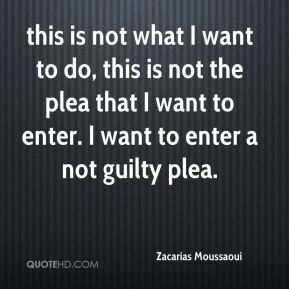 I want to enter a not guilty plea. 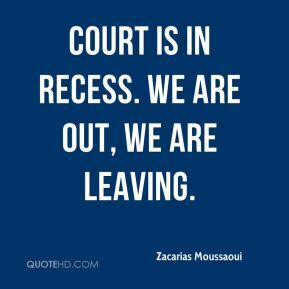 Court is in recess. We are out, we are leaving. Dunham is exploiting my death penalty to become famous. Frankly, who knew him before 9/11. 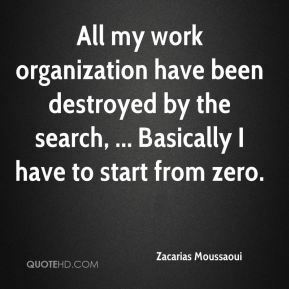 All my work organization have been destroyed by the search, ... Basically I have to start from zero. 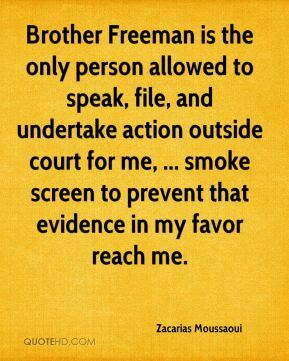 Brother Freeman is the only person allowed to speak, file, and undertake action outside court for me, ... smoke screen to prevent that evidence in my favor reach me. 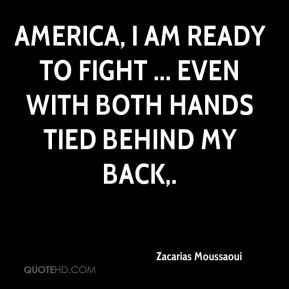 America, I am ready to fight ... even with both hands tied behind my back. to go out of your filthy United Sodom and Gomorrah States of America. 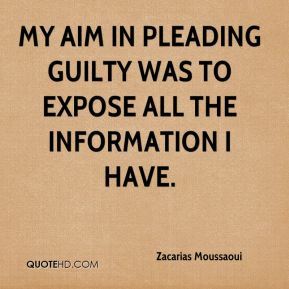 My aim in pleading guilty was to expose all the information I have. I was not part of 9/11. 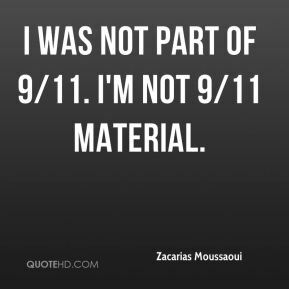 I'm not 9/11 material. Mama, I did not do anything. 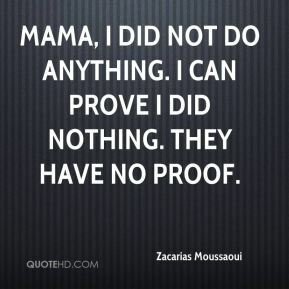 I can prove I did nothing. They have no proof. 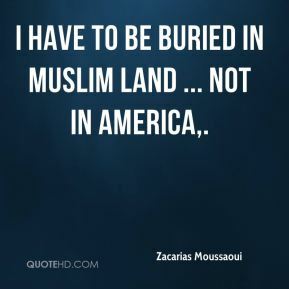 I have to be buried in Muslim land ... not in America. 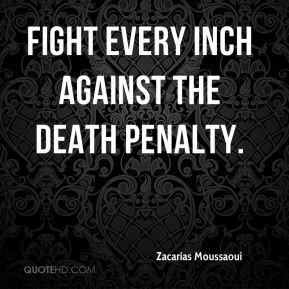 fight every inch against the death penalty. I understand life and death. 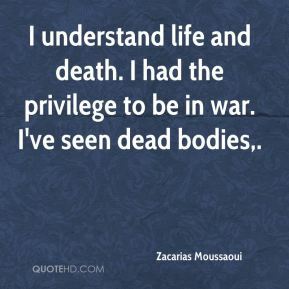 I had the privilege to be in war. I've seen dead bodies. 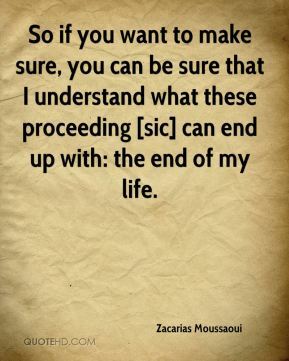 So if you want to make sure, you can be sure that I understand what these proceeding [sic] can end up with: the end of my life. 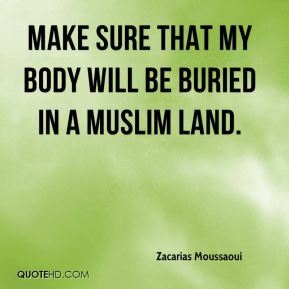 make sure that my body will be buried in a Muslim land. 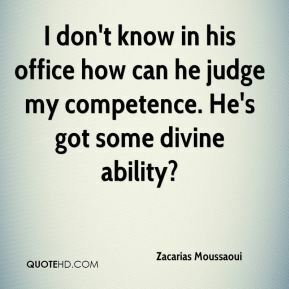 I don't know in his office how can he judge my competence. He's got some divine ability? 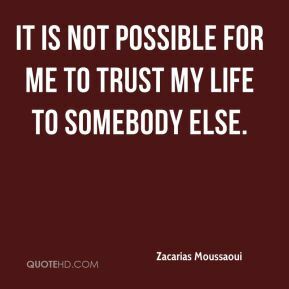 It is not possible for me to trust my life to somebody else. 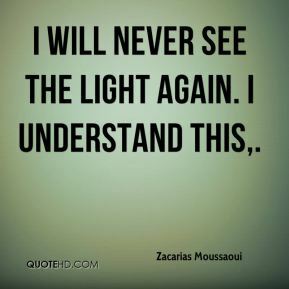 I will never see the light again. I understand this. 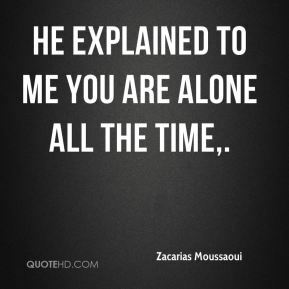 He explained to me you are alone all the time. 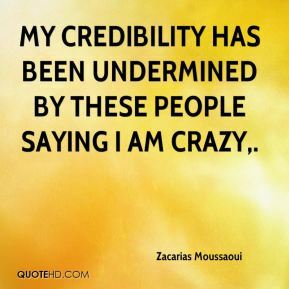 My credibility has been undermined by these people saying I am crazy.